I wrote a piece on detective fiction, Asian American representation, and ASIAN PULP, alongside thoughts from fellow writers Naomi Hirahara, Steph Cha, and others. Below is an excerpt from my contribution -- check out the full article here. I have always enjoyed a good mystery. Even so, I didn’t recognize the genre’s true potential until I read Raymond Chandler’s The Long Goodbye. “The ideal mystery,” Chandler once wrote, “was one you would read if the end was missing.”* In other words, a good detective novel isn’t dependent on some big reveal, but on something more significant: “a certain intensity of artistic performance” involving character, style, and tone—among other things. 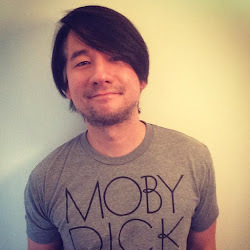 ** Inspired by Chandler’s literary aspirations, I began writing my own mystery novel featuring Sanjuro Jones—a half-Japanese, half-white journalism major searching for a missing student in a sleepy college town. Was I simply using the mystery genre to write about myself? Certainly not. I was a half-Chinese, half-white English major living in a sleepy college town—completely different. All joking aside, Sanjuro’s creation arose from necessity. Simply put, I noticed a dearth of compelling Asian and Asian American characters in detective fiction. Even in the Chandler novels I admired, characters of Asian descent served as little more than window dressing—perhaps less overtly racist than in the fiction of the time, but no less stereotypical. In fact, it seemed like the only existing Asian detectives in pop culture were walking, talking stereotypes—Charlie Chan, Mr. Moto, and Mr. Wong, all of whom were portrayed by white actors on the silver screen. Despite whatever heroic attributes these “Oriental detectives” were meant to embody, there’s no denying their blatant phoniness—in mannerism, accent, and appearance. “Yellowface” was never about casting the best actor; it was simply a product of Hollywood racism. *Introduction to the 1950 edition of Trouble Is My Business. **Letter to Erle Stanley Gardner dated January 29, 1946. Rave Review for THE CONFESSIONS OF A NUMBER ONE SON in NICHI BEI WEEKLY! Martha Nakagawa wrote a positive review of The Confessions of a Number One Son for the Nichi Bei Weekly that also has some mighty complimentary things to say about yours truly. Check out an excerpt of the review below before reading the full critique here. Calvin McMillin is to be commended for breathing life into a long-lost novel by Frank Chin, a writer who has been instrumental in shaping Asian American literature. 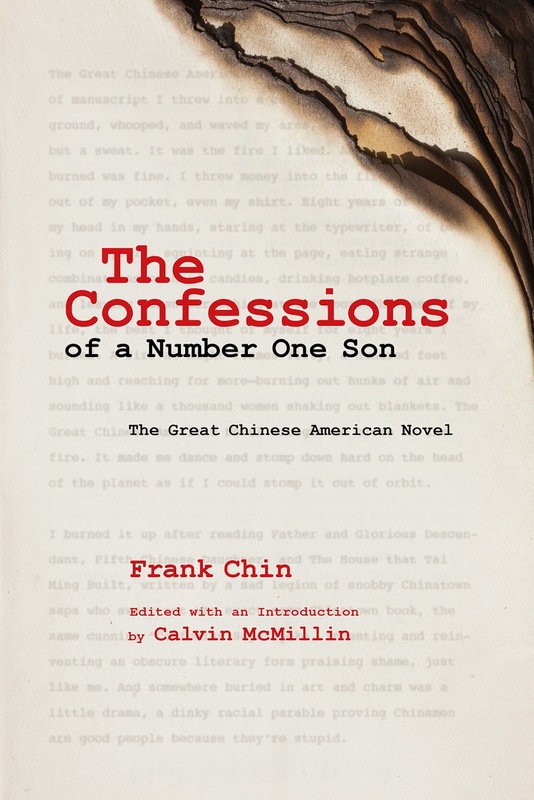 “The Confessions of a Number One Son,” although written more than four decades ago, is proof positive that Chin is a master wordsmith, whose prose brim with word plays, stream of consciousness and a cast of characters that only Chin could conjure up. “Confessions” is a sequel to “The Chickencoop Chinaman,” and follows the adventures or rather, the misadventures of Golford Tam Lum. 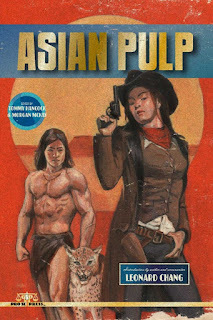 ASIAN PULP is now available! My short story "The Sushi Bar at the Edge of Forever" is being published in Pro Se Productions' latest anthology, Asian Pulp! Check out the press release below. The book can be purchased in paperback or for Kindle on Amazon.com! ‘ASIAN PULP’ DEBUTS FROM PRO SE PRODUCTIONS! In April 2013, Pro Se Productions released ‘Black Pulp’, a collection of stories written in classic pulp genres featuring lead characters of African descent. Not only were readers captivated by the cast of characters featured in the book, they also saw the potential of future volumes, both of ‘Black Pulp’, and collections featuring other ethnicities in much the same way. Pro Se Productions proudly announces the release of ‘Asian Pulp’, featuring seventeen of today’s best authors, in both print and digital format. Leonard Chang, novelist and writer and co-producer of the TV crime drama ‘Justified’, states in his introduction to ‘Asian Pulp’, “The world of pulp fiction was a world that I understood—it was a reaction to trauma, both as art and as catharsis. Personal trauma. Emotional trauma. Physical trauma. National trauma. This is why I responded to it, why I immersed myself in it. And why, whenever I was in a personal and artistic crisis, it saved me. Fiction is a reflection of and commentary on life, and I needed to find a reflection of and commentary on my life. Following in the tradition of the best selling ‘Black Pulp’, from Today's Best Authors and up and coming writers comes ‘Asian Pulp’ from Pro Se Productions! A collection of stories featuring characters of Asian origin or descent in stories that run the gamut of genre fiction! ‘Asian Pulp’ includes works from Don Lee, Naomi Hirahara, Kimberly Richardson, Percival Constantine, William F. Wu, Gary Phillips, Calvin McMillin, Mark Finn, Dale Furutani, Steph Cha, Henry Chang, Sean Taylor, Gigi Pandian, Louise Herring-Jones, Alan J. Porter, and David C. Smith. The anthology opens with an introduction from Leonard Chang.